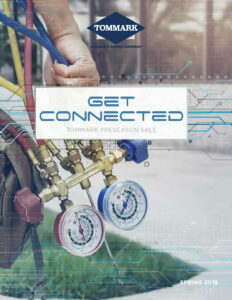 Get connected with great deals in our Spring Preseason catalog where you will save on popular products. This month, take advantage of incredible savings on pipe, elbows, chimney liners and tee wyes or save big on your sheet metal purchases every day by registering for our year-end rebate* program. 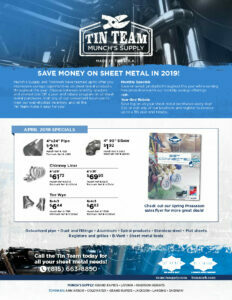 *Ask your Territory Manager for details. Rebates will be paid in January 2020. 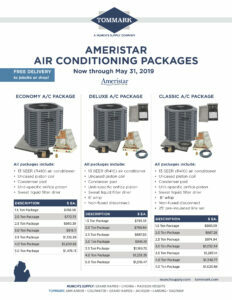 Now through May 31, save on Ameristar Air Conditioner Packages. Choose between three packages: the Economy, Deluxe and Classic and get free delivery to the jobsite or shop!